Рабочая тетрадка ревматолога. Выпуск 1. Использование плаквенила в лечении ревматоидного артрита. Candidate of Medicine Khanov A. G.
The article is devoted to physical examination of bones, joints and muscles in outpatient practice for doctors of any specialty. The article offers working classification of methods of evaluation of moving function of joints, tests of physical examination with articulate syndrome. It gives definition of global rheumatologic tests. The article offers a set of screening tests for diagnosing of pathology of the musculoskeletal system and particular areas of a human body for establishing provisional rheumatologic (working) diagnosis. Interpretation of the results of examination is also given here. Working Classification of Methods of Evaluation of Moving Function of Joints in Outpatient Practice. Global test (GT) is a general comprehensive test, research, trial, check. Global tests are tentative screening tests for a certain area or the whole musculoskeletal system of a human body. 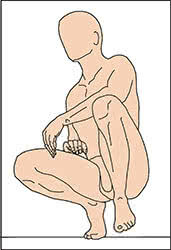 Doing simple stereotyped movements (bending, squatting) in a certain plane or while passing a certain point in these tests is provocative for emergence of a pain syndrome in a certain group of joints or indicating to the area which demands additional examination to define the type of affection of a joint (joints) and establish provisional rheumatologic (working) diagnosis. *Before establishing the cause of pain on the basis of global tests one can say about the pain in a certain area of a body in the area of a certain joint which can be caused by pathology of the joint structures, periarticular tissues or be a reflected pain. Functional Tests of damaging joints, tendons and muscles. Provocation (lat. 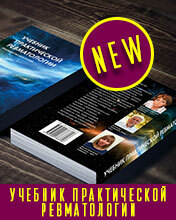 provocatio) – in medicine action as a diagnostic maneuver leading to a disease state. Stress Test (STT) – load trials, tests in a heavy-weight regimen, trials with additional loads or stress. Screening Tests (SCT) – (Eng. Screening, screen – sift, sort) in medicine mass examination for detection a person’s particular disease or symptom. Tests of examination of particular areas of a body, joints and parts of the skeleton (purposeful, problem-oriented). Tests on inflammation of joints, periarticular tissues and articular corpuscles. Tests of stability of joints and particular joints. Tests of compression of nerves. Tests of annoyance of nerves. Isometric (while contraction of muscles without changing of their length) tests. (Tests with “résistance”, “Resistive” tests). Pic.1.1 Test on straightening. Demand: To pull arms, legs and back upwards as much as possible. Pic.1.2 Test in the squatting position. Demand: To sit in the squatting position as low as possible, feet are closely pressed to the floor, head is between knees, arms are bent. Pic1.3 Global test of maximum bending down. Demand: To bend down as much as possible without flexing knees and without coming feet off the floor and try to touch the floor. Hands hang freely in the same distance from feet. Explanation of results: This test characterizes total mobility of movements of a Spinal column which can be reached for account of movements of a column and hip joints. Stiffness of a column can be compensated by sufficient amplitude of movements in hip joints. If you look from one side you can estimate the angulations for account of hip joints and the angulations of the whole trunk. The first angle is acute, tending to the right one. The second angle has a ceiling value while fingers are touching the floor. Pic1.4 Global test with pain in the shoulder (A fast test of a combined movement) Diagnostic Purpose: To estimate the function of joints of a shoulder girdle and partially of an elbow joint. Explanation of results: The onset of the pain while examining and/or the restriction of movement volume reflects a pathologic process either in the shoulder girdle or in the rotatable cuff (muscles, joints of supraspinous, infraspinatus and small round muscles). A. The capture of the occiput ( Test “Putting hands behind the head”) Diagnostic Purpose: This test estimates external rotation of the shoulder, abduction of the shoulder. Movements in acromioclavicular and sternoclavicular joints, bending in an elbow joint, the function of supraspinous, infraspinatus and small round muscles. Demand: Put both hands on the occiput. 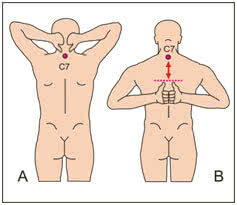 Protruding thumbs should be placed at the level of the seventh cervical vertebra. Measure the distance between a thumb and a protruding vertebra (spinous process S7) Explanation of results: Quantitative assessment of the degree of external shoulder rotation. At the same time this test estimates the function of the joints of the shoulder girdle, of incomplete elbow joint, abduction of the shoulder, movements in acromioclavicular and sternoclavicular joints, bending in the elbow joint. When there is pathology in any of the listed joints, painfulness arises and movements are limited and become impossible. B. The capture “Knot” ( Test “Putting hands behind the back”) Diagnostic Purpose: Estimate internal rotation, abduction and extension in the shoulder joint and also the function of subscapular muscle. Demand: The sick brings the hands of the arms bent in the elbow and tries to touch the back between the shoulder blades with the back of the hand as high as possible. Measure the distance between a thumb and a protruding vertebra (spinous process S7) Explanation of results: Quantitative assessment of the degree of internal shoulder rotation. Pic.1.5 Global Test for girdles (shoulder and pelvic) of the trunk and extremities (upper and lower). Demand: The test must be done from anatomical position. Firstly, antepulsion of arms is done simultaneously in the shoulder (bending, inclination of upper extremities in the frontal plane to an angle of 45 degrees). The next step is retropulsion (abduction back. The movement of the hip – elongation (a step backward) is made simultaneously in turn. (Pic.1.5 A.B.) Comment. The test can be divided into 2 parts: first, for upper and then for lower extremities. The step backward can be replaced with hip bending (Pic.1.5 C.D.) Pic.1.6. Global test of flexibility of the foot (Test of the foot roll from the heel to the toe and the contact of the toes with the floor). Demand: By turns the sick makes the roll on the toe for each foot from the position of the support on the heel and then leans on the tiptoes with the weight of his body.